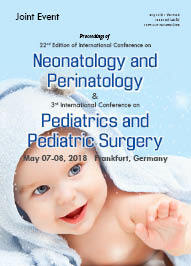 PEDIATRICS NEONATAL CARE 2019 typically incorporate lectures, paper and poster sessions, and panel discussions with prominent international experts and scholars. We also feature product exhibitions, workshops, and student research competitions that generate networking opportunities for all attendees. The 2019 Conference is bringing together 50+ professionals from 23+ countries for the education, innovation and collaboration – all at one time, all in one place. 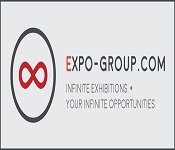 Choose from 20+ education sessions, 10+ exhibitors, and endless networking events. 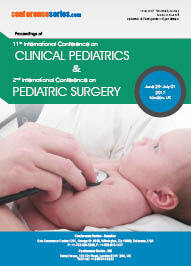 Abstracts are welcome in all areas related to Pediatrics, Neonatology & Primary Care. Like previous conference, PEDIATRICS NEONATAL CARE 2019 CONGRESS is accredited by the Continuing Professional Development (CPD) credits. The Certification enlightens professionals to authorize their expertise into a structured and established approach towards the hunger of knowledge. Continuing Professional Development keeps you up to date on current and emerging developments. 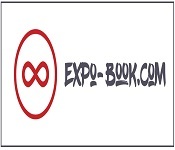 Sceintific Sessions, Workshops, Key note forums, Posters, lunch & learns–provide unique learning and career building opportunities that you just can’t find anywhere else. 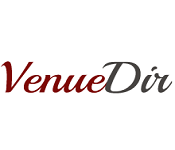 Below you’ll find reasons why you should attend our conference and consider sending your employees to our conferences as well. 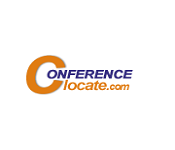 We look forward to collaborating with you at our conference! General Pediatrics includes the basic treatments involved for the betterment of children and adolescents. A general pediatrician diagnose and treat child's illnesses, infections, injuries, and other health problems. 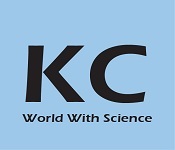 Focuses mainly on Congenital defects, genetic variance, and developmental issues. General Pediatricians plan and execute medical care programs to aid in the mental and physical growth and development of children and adolescents. Refer patient to medical specialist or other practitioner when necessary and re-evaluate treatments as necessary. Child & Adolescent Behavioral Health specializes in the emotional and behavioral needs of children, adolescents, young adults and their families. Concerns such as depression and anxiety and behavior problems like ADHD if left untreated, lead to a child's failure in school, separation from their families, drug involvement, delinquency, and suicide. No child/family needs to suffer. Behavioral problems and other Mental health disorders can be a heavy burden for children and teens as well as their families. Access to care is easy and treatment works! Childhood and adolescence are important developmental periods in a person’s life. The Maternal and Child Health (MCH) supports high quality preventive and primary health care for all children, and for the reproductive health care of all women and their partners. The focus for MCH are all women in their reproductive age groups, i.e., 15 - 49 years of age, children, school age population and adolescents. Maternal mortality is an adverse outcome, especially in the developing countries there is an increasing concern and interest in maternal and child health care. 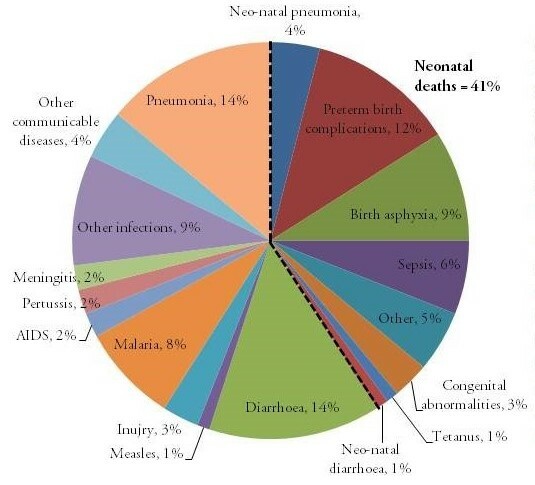 Worldwide, Preterm birth is the most common cause of death among infants. 15 million babies are born preterm each year. These babies are known as preemies or premies. Some risk factors for a premature birth include diabetes, high blood pressure, being pregnant with more than one baby, being either obese or underweight, a number of vaginal infections, tobacco smoking and psychological stress. Preemies may need longer or more intense care, medication and sometimes surgery. Complications associated with a premature birth include immature lungs, difficulty regulating body temperature, poor feeding and slow weight gain, cerebral palsy, hearing problems and sight problems. Pediatric & Neonatal Haematology involves the study, diagnosis, treatment and prevention of blood diseases and blood-forming organs in the body of infants, children, and adolescents. There are many blood disorders problems in the body with blood vessels, red blood cells (erythrocytes), white blood cells (leukocytes), platelets, bone marrow and lymph nodes that can occur in children that can be diagnosed and treated by a Pediatric hematologist. Neonatal haematology is a complex and dynamic process in the pediatric population. Surgeons frequently encounter hematologic issues regarding haemostasis, inflammation, and wound healing. The Division of Haematology provides subspecialty care to infants, children, adolescents and young adults with diseases of the blood. 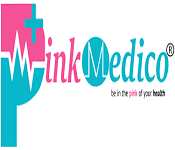 They provide genetic counseling and confirmatory testing for families of new-borns with an abnormal haemoglobin detected on the new born state screen. 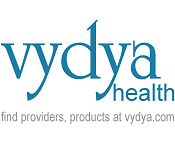 They also provide consultative services for primary care physicians caring for a child with a complex blood disorder or who has signs or symptoms which may suggest cancer. Babies who experienced a brain injury or have a congenital neurological condition need intense, specialized care. Comprehensive evaluation and treatment for these young children and new-borns’ brains are in a crucial window of rapid development. If your obstetrician suspects that your baby has a brain abnormality during pregnancy, they refer Prenatal consultations. The neurologists on the Fetal-Neonatal Neurology improve our understanding of problems in early brain development and to find effective new treatments. 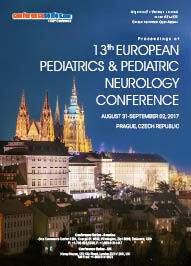 Child neurology focuses on diseases and disorders of the spinal cord, brain, peripheral nervous system, autonomic nervous system, muscles and blood vessels that affect individuals in these age groups. The renal system plays an unbelievable role in the growth and development of infants and children. In neonatal period renal functions undergo continuous adaptive changes. The kidney also undertakes a maturation progression as it transitions from the fetal to the extrauterine environment. Preterm neonates are especially susceptible due to immature of kidneys. The transition from the aqueous environment of the mother’s womb to dry land creates many challenges for the neonate. The infant must have a means to regulate the composition and volume of the extracellular fluid; a task performed by the kidney. The neonatal kidney must be able to excrete free water and conserve sodium while retaining filtered organic solutes. The premature neonate has a much lower glomerular filtration rate than the term neonate. Pediatric Nephrology reports fundamental clinical research and progress associated with any type of the sharp and enduring illnesses that adjust renal capacity in kids. Paediatric cardiologists are doctors who diagnose and treat children with cardiac conditions. They work with patients antenatally (before birth), through childhood and into adulthood Paediatric cardiology is concerned with diseases of the heart in the growing and developing individual. They also need a thorough grounding in general paediatrics, in order to provide all-round patient care. Paediatric cardiologists treat congenital heart disease (present at birth), arrhythmias (variations in heartbeat rhythm) and disturbances of circulatory function. The goal of the division of Pediatric Cardiology is to provide the best possible care for infants, children, and adults with all forms of congenital and acquired heart disease. They work in association with a wide range of specialists as part of a multidisciplinary team to assess and treat patients. Neonatal and Pediatric Pharmacology provides evidence-based guidelines for safe, effective, and rational drug therapy in new-borns, children, and adolescents. Current research and clinical practice include specific recommendations for all major drug classes and diseases, specific treatment settings such as the pediatric intensive care unit and emergency room. It also includes adverse effects and interactions and state-of-the-art discussions on pharmacokinetics, pharmacodynamics, pharmacogenetics, pharmacogenomics, pharmacoproteomic, drug development, and clinical trials in infants and children. It also includes updated information on drug interactions and regulatory issues. It also covers nutrient supplements and biotransformation of medications by the human placenta. Treatment settings such as the pediatric intensive care unit and emergency room. Although cancer in childhood is rare, in economically developed countries pediatric cancer is the 2nd leading cause of death among children under 15 years of age. From diagnostic evaluation and therapeutic management plans to extensive psychological and social support we should attack cancer from every angle. Build your support with friends and family. No one should face cancer alone. Pediatric nursing means the chance to work with some of the most precious and unpredictable creatures on the face of the planet – children. They often get the chance to watch children grow up as well. A pediatric nurse work in a team of pediatric healthcare professionals. These nurses help to provide medical care for youngsters from the time they are first born until their teenage years. Proper healthcare is extremely important during childhood. Pediatric nurses must be cheerful and friendly and able to communicate effectively with children and their parents. Pediatric Nurse Practitioners perform physical exams, diagnose illness and injury and provide education & support to patients and their families. Neonatal intensive care unit (NICU) can be a rewarding career for registered nurses (RNs). NICU nurses care for vulnerable new born children that require intensive nurturing. With the rapid increase in infants admitted to neonatal ICUs, the demand for NICU nurses and new NICU facilities will continue to rise alongside. They are directly responsible for monitoring vitals, administering medications and nutrients, and providing care and comfort to new-borns. NICU nurses also educate new parents on the appropriate care for their new born following discharge, and they answer any questions that families may have. In addition, NICU nurses will be on the front lines when it comes to helping scared parents through what is often a traumatic experience. Emotional stability is extensively crucial for caring very ill or premature infants. Pediatric dentistry provides both primary and comprehensive therapeutic oral health care for newborns and children through adolescence, including those with special health care needs. Preventive dental care includes cleaning and fluoride treatments, as well as nutrition and diet recommendations. It also includes Management of gum diseases and conditions including ulcers, short frenulae, mucoceles, and pediatric periodontal disease. Neurodevelopmental disorders can affect child’s ability to think and disturbs normal day to day functions. Evaluating and treating newborns to young adults who have these, and other types of intellectual and developmental disorders is very crucial. Symptoms like behavior or learning difficulties, autism, brain tumors or other brain and developmental disorders can appear at birth or in later years. Neuro-Developmental Pediatricians have additional training that focuses on the assessment and management of these developmental problems. The psychiatrists will assess the child and provide treatment recommendations that address any psychiatric difficulties that may be interfering with day to day life. With increasing survival rates of extremely premature infants emphasis is now focused on the quality of these survivors lives. The most important factor possibly is the premature's ability to survive in the NICU. Neonatal nutrition is crucial for the growth and development of the new born babies. Baby food is any soft, easily consumed food other than breastmilk or infant formula that is made specifically for new born babies between four-six months and two years old. Introduction of complementary foods at early age may satisfy the hunger of the infant, resulting in less frequent breastfeeding and ultimately less milk production in the mother. In several scientific areas Humanoid robots are now used as research tools. Robots that are designed to play with children usually look like animals. We have to watch on and give it attention, a toy that children nourished every day. Robotic technology for healthcare has been an exciting leap. A pediatric pain coach, educator, and friend built upon the humanoid robot platform is Clinically proven to reduce a child's pain by 50% during medical procedures. To interact with pediatric patients during anxiety producing and/or painful procedures to help manage their pain. Hospitals may be a place of healing, but to a child, hospitals mean needles, strangers in uniforms, mysterious equipment’s, boring wait times. Humanoid robots perform entertaining activities to reduce anxiety levels in children - and even their parents. A birth deformity may happen when baby is in mother’s womb. A congenital disease, otherwise called as congenital disorder deformity, birth imperfection, or irregularity, is a condition existing at or before birth. Mostly occur amid the initial 3 months of pregnancy. Few disorders can be detected before through Perinatal Screening. Worldwide every year approximately 303 000 new-borns die within 4 weeks of birth due to congenital anomalies. Congenital anomalies can lead to long-term disability, which may have significant impacts on individuals, families, health-care systems, and societies. Miscarriages often referred to as spontaneous abortions, typically occur once the baby doesn’t develop ordinarily within the uterus. Most miscarriages occur within the first trimester. The exact causes of miscarriages aren’t well-understood. Miscarriages might happen due to abnormality with the baby’s genes or chromosomes. Bleeding during pregnancy is one of the foremost common miscarriage symptoms. Another potential miscarriage symptom is less activity of your baby in the womb. Certain health conditions within the mother may also additionally cause a miscarriage. Stem cells are the building blocks of the human body. Stem cells are unspecialized cells capable of dividing for long period of time and can develop into specialized cells. Stem cells in the human body are found earliest in the embryo. The stem cells inside an embryo will eventually give rise to every cell, tissue and organ in the foetus body. A stem cell is pluripotent. Unlike a regular cell, stem cells can only replicate to create more of its own kind of cell. When it divides, it can make any of the different cells in the human body. Stem cells also have the capability to self-renewal. 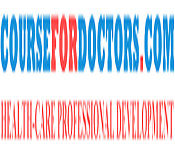 Health Care Professionals aims to provide practitioners with in-depth understanding of the importance of health care. 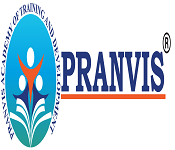 It will equip all practice staff with the knowledge and tools they need to facilitate smooth transition from pediatric to adult health care for young adolescents with and without disabilities or special health care needs. Pediatricians, family doctors, nurses, primary and other health care workers should be trained on the relationships between children's health and the environment through the use of harmonized training materials, for the specific needs of countries and professional groups. Infant mortality rates varies around the world. Between 1960-2000, the infant mortality rate decreased by half as the number of physicians increased by four folds. Infant mortality will reduce by 30% With the addition of one physician to every 1000 persons in a population, Increasing the number of skilled professionals is negatively correlated with maternal, infant, and childhood mortality. 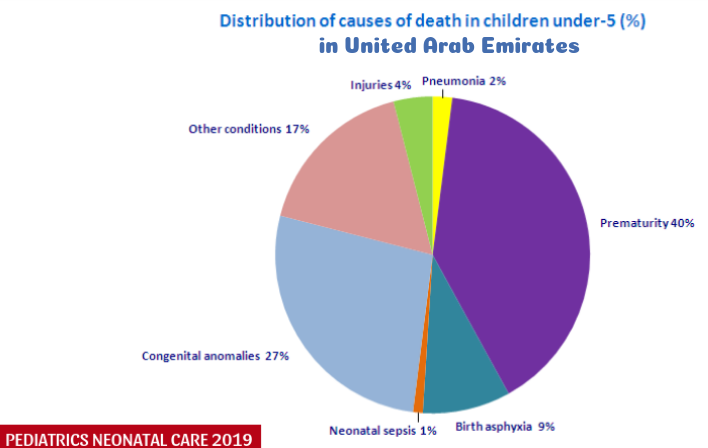 Child mortality isn’t cause by only infection and disorder, it also causes by premature birth, birth defect, new born infection, birth complication, and disease like malaria, sepsis, and diarrhoea. In some countries, malnutrition is the main source of child mortality. Two-thirds of child deaths are preventable. 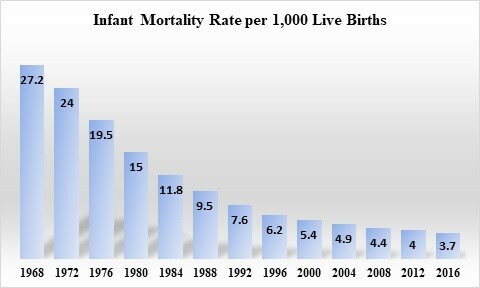 Recent technological advances in medicine would drastically decrease the infant mortality rate. 30 years ago, Dubai and the UAE were 100% oil-based economy; today oil contributes to just 30% of the [UAE] economy. So, the Dubai journey started with a huge effort of diversification, by seeing what is happening outside and investing heavily to diversify the economy within the UAE. Dubai continues to grow in stature as a hub for regional and international associations and emphasising the opportunities available in the emirate. Obesity is not exclusive to adults. Every day more and more children are finding the risk for overweight and obesity. As childhood obesity becomes a growing problem, Bariatric surgery is one alternative. How Do We Treat Childhood Obesity? Through five small holes in the belly, doctors staple the stomach shut, reducing the size of it by about 90%. Researchers found a weight reduction of 27 % three years after surgery. They also found a significant quality of life improvements and reduction of obesity-related conditions. Nutritional risks - Low levels of iron, vitamin B12, vitamin D, and calcium are common problems after RYGB. Pseudotumor Cerebri: Increased pressure inside the skull and symptoms can include a headache, visual changes, ringing in the ears, nausea, and vomiting. Pregnancy risks - Recent investigation has reported a two-fold increase in pregnancy in adolescent bariatric patients. Female adolescents should be informed about increased fertility after weight loss and that pregnancy during the first 18 months after bariatric surgery has possible risks. 22nd World Congress on Pediatrics, Neonatology & Primary Care hosted by ME Conferences was held during November 12-13, 2018 at Dubai, UAE on the theme "Exploring Advancements in Pediatrics, Neonatal and Child Care"
Pediatrics Neonatal Care 2018 Organizing Committee extends its gratitude and congratulates the Honourable Moderators of the conference, Dr. Abeer Mohi El-Din Saleh, International Medical Center Hospital, Egypt and Mrs. Farha Hijji, Clinical Resource Nurse, UAE for their preeminent contribution towards smooth functioning of this esteemed event. We acknowledges the help of the Honourable Chair Dr. Richard Mupanemunda, University Hospitals Birmingham, UK and Co-Chair Dr. Klaus Martin Beckmann, Griffith University, Australia whose support brought this event to its grand success. Pediatrics Neonatal Care 2018 has taken the privilege of felicitating Keynote Speaker Dr. Stephanie Wellington, Nurturing MDs, USA whose attempts made the social occasion to move in the method for achievement. We were indebted by your presence. We sincerely thank the Organizing Committee Members Dr. Kanav Anand, Sir Ganga Ram Hospital, India and Dr. Simone Battibugli, The Children’s Medical Centre, UAE for their gracious presence, support, and assistance towards the success of Pediatrics Neonatal Care 2018. 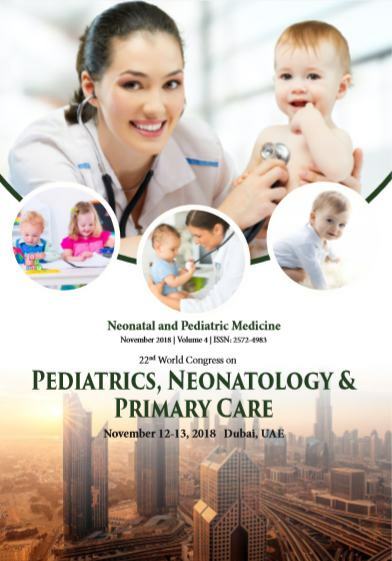 We hope your favorable support will make next series 23rd World Congress on Pediatrics, Neonatology & Primary Care to be held during November 21-22, 2019 in Dubai, UAE one more grand success event. I have been a speaker and also presented the poster in 22nd World Congress on Pediatrics, Neonatology & Primary Care held in November 12-13, 2018 at Dubai, UAE. It was really a very nice experience. Looking forward I want to contribute the same for Neonatal Care Conference going to be held in 2019. I was happy to meet other speakers and people attending other conferences. I appreciate your help and support. Indeed, it was an Honor to conduct a Special Workshop on – ‘Significance of Perception Management in Healthcare Industry Globally’ at 22nd World Congress on Pediatrics, Neonatology and Primary Care on 12th November 2018 at Dubai, UAE. A big round of applause to the Organizing team and A Big thanks to All the Doctors who were Inspirationally Inspirational.